Otile Brown´s and ex, Vera Sidika´s love game did not last as long as many might have expected, let alone end gloriously. The perennial slamming of words is not news in the celebrity circles. What was most embarrassing was after ex, Vera Sidika spilled the beans on Otile´s consistent borrowing of funds. However, Otile came public to address the claims and deny allegations even after outright evidence of their chats. Otile´s love hurdle The two have since then moved on with their separate lives, with Otile flaunting his new Ethiopian girlfriend, from time to time. In his recent post, he categorically states that: We would only be so kind as to wish the duo nothing but a fascinating ride down the love lane. 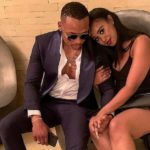 The post Otile Brown can´t seem to stop showering new bae with endless love posts appeared first on Ghafla! Kenya.